Dhanush is an tamil films actors from South Indian Films Industry. His real name is Venkatesh Prabhu and his date of birth is 28th July 1983. 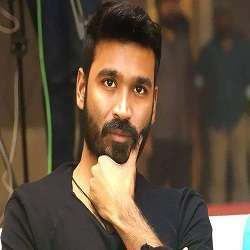 Dhanush’s birth place is Chennai Tamil Nadu and right now he is 36 years old. Dhanush is an actor, singer, song writer, director and producer also.